The Chipettes. I प्यार this picyure of me and my sisters SOOOO much that I had to post it up on FanPop. 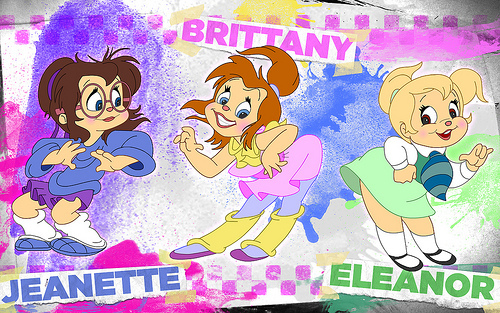 Wallpaper and background images in the The Chipettes club tagged: chipettes jeanette brittany eleanor. This The Chipettes photo contains मोबाइल फोनों के लिए, हास्य पुस्तक, मंगा, कार्टून, एनीमे, कॉमिक बुक, and manga. yeh its ok sis but i prefere the ones of me! Jeanette And Eleanor spank their butts!